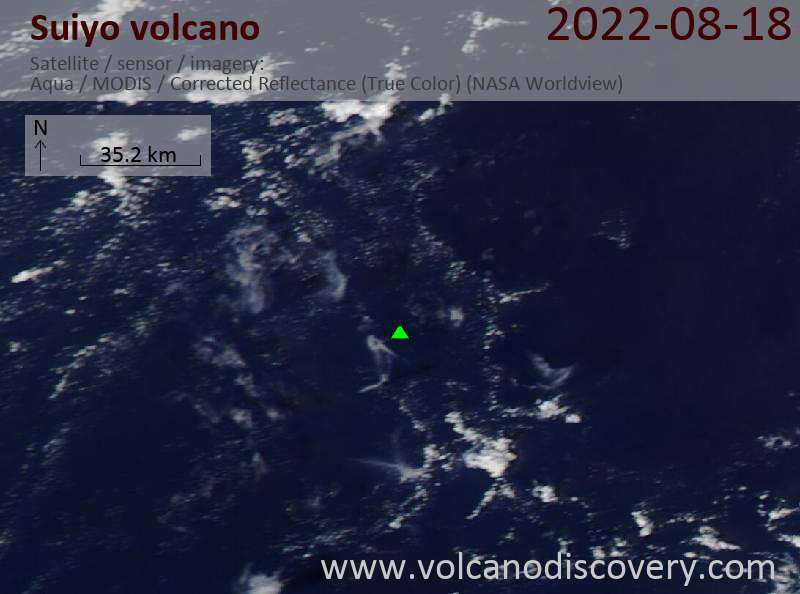 Suiyo is an active submarine volcano forming one of the Shichiyo Seamounts, which are named for the 7 days of the week and are located south of Sofugan volcano. 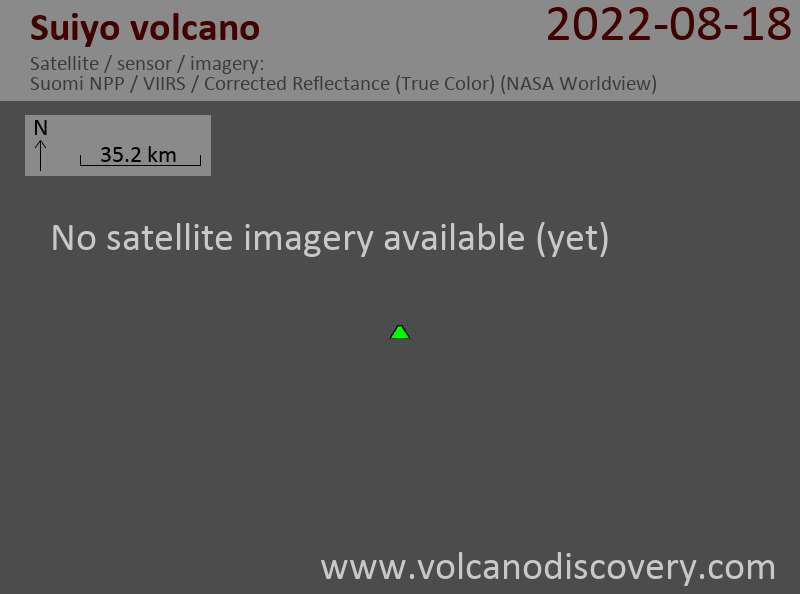 Suiyo ("Wednesday") is an basaltic-to-dacitic submarine volcano with a caldera and lava dome that rises about 1400 m from the sea floor to within 1418 m of the sea surface. The summit caldera is 1.5 km wide and about 500 m deep. Major hydrothermal activity was observed in July 1991, with temperatures reaching more the 290 degrees C, and the volcano was reclassified as active by the Japan Meteorological Agency.